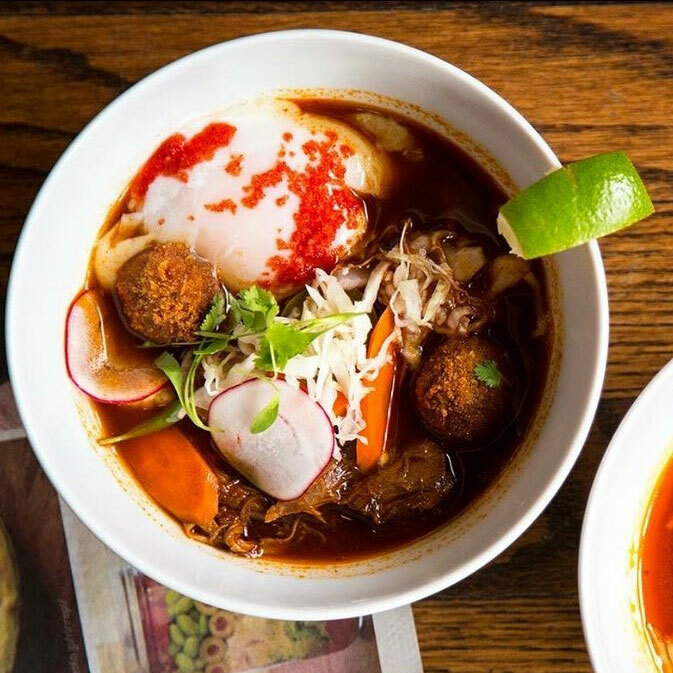 "Birria ramen" is basically Mexican goat soup plus Japanese noodles, and it's coming to Chicago. What does Mexico’s favorite goat soup have to do with Japan’s beloved ramen? If you’re chef Jonathan Zaragoza, the answer is a shared cultural appreciation for long-simmered stock and food-stall cheap eats. And if you stop by his family’s Chicago restaurant, Birrieria Zaragoza, you’ll get both dishes in the same bowl. It’s birria ramen, and it’s happening for just one night on January 22, as Zaragoza transforms his parents’ South Side institution into a pop-up ramen-ya. There will be custom-made arbol chile noodles and goat belly chashu floating in a rich, opaque broth seasoned with guajillo chile and charred masa. Tickets are still available for two seatings, but as Zaragoza noted over the phone, “People have been asking about the dish for years.” He first developed it for a ramen event at Yusho in 2015, and for a particular crop of Chicago’s Mexican food fanatics, it’s been an object of fascination ever since. Beyond Rick Bayless, you may not imagine much Mexican cuisine when you think of Chicago, but after Los Angeles, the Windy City has long been the top American destination for Mexican immigrants. Nearly a third of Chicago residents identify as Hispanic, and three-quarters of them are of Mexican descent. On the city’s South and West sides, abundant family-run taquerias are a given. But you’ll also see other specialists, such as the Zaragozas’ restaurant, which focuses on just one dish, birra tatemada: sublimely tender roasted goat meat served in a subtly spiced tomato consommé with from-scratch tortillas on the side. Like many young chefs raised in the industry, Zaragoza is a curious cook. 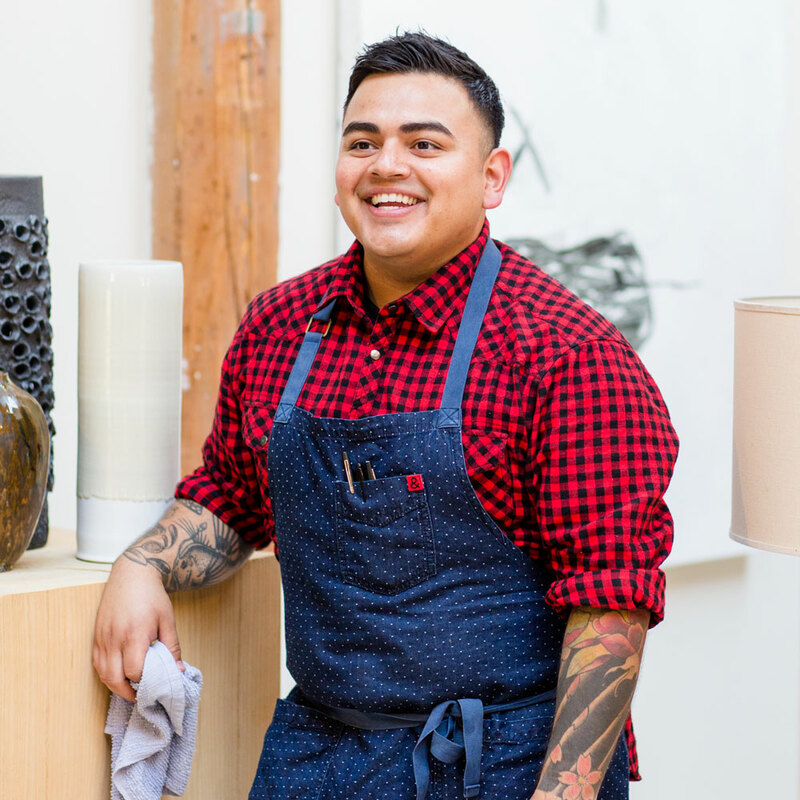 His self-education (he never finished culinary school) has taken him to pop-up collaborations in New York and Kansas City, not to mention elsewhere in Chicago. Then there are the research trips back to his family’s home town in Mexico, a village 45 minutes west of Guadalajara—not the birthplace of birria, but famous for it nonetheless. It was in that city, at a birria stall in the bustling Santa Teresita market, that he first got the idea for birria ramen. “Japanese and Mexican ingredients are so different, but both cultures hold street food in such high esteem," he said. "When you belly up to the birria counter [at the market], you see people of all walks of life—construction workers, professional families with kids—and it’s not about who you are or how much you make.” The same holds true for Japanese ramen bars, such as the countless stalls in Tokyo’s labyrinthine subway stations, where working stiffs of all classes stop to pay $10 or less to inhale a bowl of noodle soup in minutes. On the 22nd, Zaragoza will kick off the four-course dinner with some snacks including Mexican pickles—a nod to tsukemono-obsessed Japan—and sikil pak, a Mayan pumpkin seed dip. Then he’ll pass around pork belly al pastor steamed buns before plating the birria ramen. It starts with roasted pork and chicken bones boiled for 24 hours, which then get simmered with more chicken, a purée of guajillo chile, onion and garlic and burnt tortillas for a deep corn toastiness. The strained broth is poured over those arbol noodles made by Furious Ramen’s Shin Thompson, and topped with nuggets of fried goat chorizo, slices of goat belly wrapped around loin for a chashu-porchetta situation, a poached egg and some twangy escabeche. Tickets are available for two seatings, at 5:30 p.m. and 8:00 p.m., at Birrieria Zaragoza on Monday, January 22. Seats are $50 a head, and the full menu is available on the ticket site.